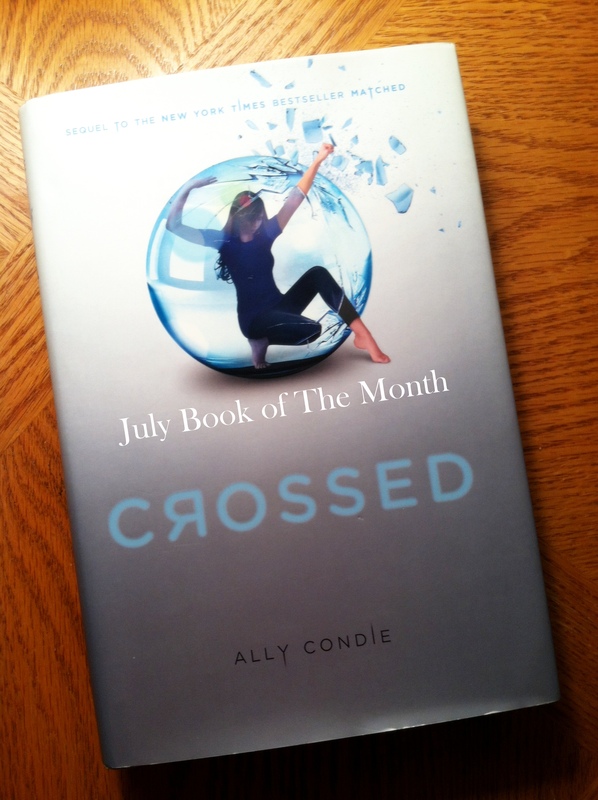 If you’ve been following my Book of the Month series, you may have noticed I didn’t do May or June. I slowed down my reading due to a few things. First, we had a personal family related issue going on, and secondly, my library nonfiction books were holding my attention and I wanted to get them back before they were due (slow reader problems). That said, we are getting back on track! The book I’m choosing to read this month is part of a trilogy. Matched, the first one of the series I read a few years ago on my honeymoon and I loved it. I literally read the entire book that week, which these days is rare. I’ve had the second one, Crossed, in my personal library for quite a while now, and it’s time I dust it off and give it some love. If you love any dystopian books and haven’t picked the series up yet, I recommend it! Book Description: Chasing down an uncertain future, Cassia makes her way to the Outer Provinces in pursuit of Ky-taken by Society to his certain death-only to find that he has escaped into the majestic, but treacherous, canyons. On this wild frontier are glimmers of a different life and the enthralling promise of rebellion. But even as Cassia sacrifices everything to reunite with Ky, ingenious surprises from Xander may change the game. On the edge of Society, nothing is as expected, and crosses and double crosses make Cassia’s path more twisted than ever. Sounds interesting. I may mosey on over to Amazon and get it on Kindle. You wont regret it! Definitely start with Matched, though.